A presentation on Race Traitor politics is being held this Monday at the Rusty Spoke Bicycle Co-Op in downtown Phoenix. During our active era as PCWC, we wrote with some frequency on Race Traitor politics (with my partner P.I. writing on the subject years back on his old blog, here and here) as we, and many others in Arizona, were exposed to these ideas by the late Joel Olson. 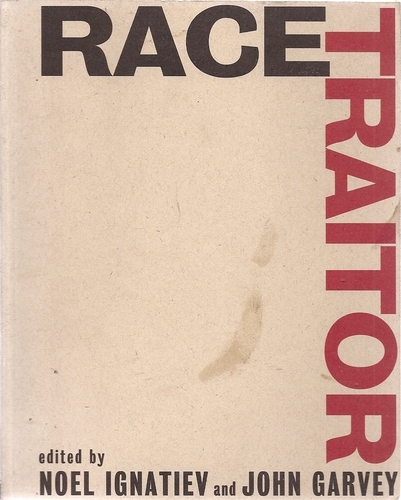 Joel's projects against white supremacy introduced many valley anarchists in the late 90s and early 00s to Race Traitor politics, through his distribution of the Race Traitor journal and his own writings in the New Abolitionist paper. In more recent years, Joel was primarily recognized for his role in the national cadre organization Bring the Ruckus (BTR), and locally for his involvement in two groups created by BTR members Phoenix Copwatch and Repeal Coalition. Despite a number of disagreements over anarchist organization, the Left, and the role of liberatory projects in social struggles, we in PCWC still shared the position with Joel that white supremacy is the primary contradiction in American society. We were glad to have hosted a couple of events featuring him over the last couple of years, and we were looking forward to his planned book on fanaticism and political zealotry, which I hear may be released in the near future. This Monday is October 22nd, national day against police brutality. To mark the struggle against the state and its violence, a Phoenix anarchist friend will present an analysis on Race Traitor politics, drawing inspiration from Joel Olson's writings on race and whiteness, and what significance these ideas have for anarchist projects in Phoenix. 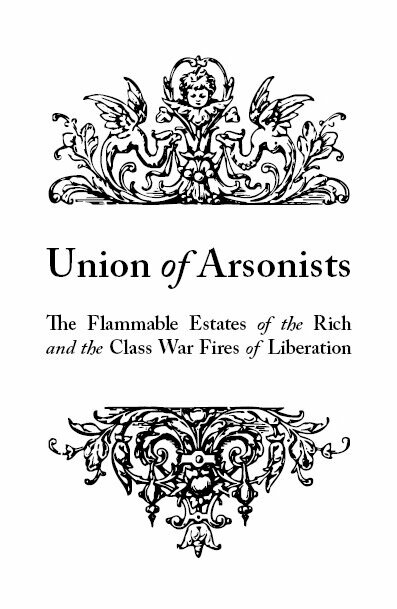 Some info on the event is below, along with one of Joel's final writings before he passed in March of this year, an introductory essay on white supremacy he contributed to the Institute for Anarchist Studies' Lexicon Pamphlet series. "Treason to whiteness is loyalty to humanity." This workshop will give an explanation of "Race Traitor Politics," aka "New Abolitionism." Many of us in AZ have been influenced by recently-deceased Joel Olson (1967-2012), a founder of Phoenix Copwatch, who wrote and lectured on this approach, but still remains unknown to many. 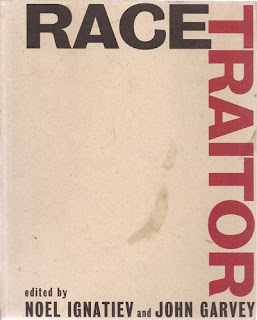 "Race Traitor politics" sees "race" (specifically the creation of "whiteness") as a political construct that acts to divide the working class, and white supremacy as a system continues this, rather than simply a set of prejudices and privileges. What is the value of this approach, and what are the criticisms? What does this look like in practice? This event is in recognition of 10/22 as National Day Against Police Brutality. The building is on the S/W side of Grand (which is a diagonal street). Entrance is through the back alley which is accessible at Taylor/10th Ave/Grand or Fillmore/11th Ave/Grand. Rusty Spoke is about 0.3 miles from 7th Ave. and Fillmore where Route 8 stops. Or 0.8 miles from the Van Buren/1st Ave. light rail stop. Biologically speaking,there’s no such thing as race. As hard as they’ve tried, scientists have never been able to come up with an adequate definition of it. Yet the social and political effects of race are very real. Race is like a dollar bill—a human creation rather than a fact of nature that has value only because people say it does. And like money, people give race “value” because it serves a function in society. That function in the United States is to suppress class conflict. In the United States, the system of race (what we now call “white supremacy”) emerged in the late 1600s to preserve the land and power of the wealthy. Rich planters in Virginia feared what might happen if indigenous tribes, slaves, and indentured servants united and overthrew them. Through a series of laws, they granted the English poor certain rights and privileges denied to all persons of African and Native American descent: the right to be excluded from enslavement, move about freely without a pass, acquire property, bear arms, enjoy free speech and assembly, change jobs, and vote. For their part, they respected the property of the rich, helped seize indigenous lands, and enforced slavery. In accepting this arrangement, the English poor (now called “whites”) went against their class interests to serve their “racial” ones, and thereby reinforced the power of the rich. This cross-class alliance between the ruling class and a section of the working class is the genesis of white supremacy in the United States. It continues to this day. In this system, members of the cross-class alliance get defined as white, while those excluded from it are relegated to a “not-white” status. By accepting preferential treatment in an economic system that exploits their labor, too, working-class members of the white group or “race” have historically tied their interests to those of the elite rather than the rest of the working class. This devil’s bargain has undermined freedom and democracy ever since. As this white alliance grew to include other ethnicities, the result was a curious form of democracy: the white democracy. In the white democracy, all whites were considered equal (even as the poor were subordinated to the rich and women were subordinated to men). At the same time, every single white person was considered superior to every single person of color. It was a system in which whites had an interest in and expectation of favored treatment, in a society that claimed to be democratic. It was democracy for white folks, but tyranny for everyone else. In the white democracy, whites praised freedom, equality, democracy, hard work, and equal opportunity, while simultaneously insisting on higher wages, preferential access to the best jobs, informal unemployment insurance (first hired, last fired), full enjoyment of civil rights, and the right to send their kids to the best schools, live in the nicest neighborhoods, and receive decent treatment by the police. Even white women, who were otherwise denied full citizenship, enjoyed the benefits of white democracy, such as the right to legal representation, favored access to certain occupations (teaching, nursing, and clerical work), easier access to better housing (including indoor plumbing, heat, electricity, and time-saving household appliances), and/or the all-important guarantee that their children would never be enslaved. In exchange for these “public and psychological wages,” as W.E.B. Du Bois called them, whites agreed to enforce slavery, segregation, genocide, reservation, and other forms of racial oppression. The result was that working-class whites and people of color were oppressed because the working class was divided. The tragic irony is that many poor whites often did not get to make use of these advantages, yet despite this, they defended them bitterly. The white democracy continues to exist, even after the end of slavery and legal segregation. Take any social indicator—graduation rates, homeownership rates, median family wealth, prison incarceration rates, life expectancy rates, infant mortality rates, cancer rates, unemployment rates, or median family debt—and you’ll find the same thing: in each category, whites are significantly better off than any other racial group. As a group, whites enjoy more wealth, less debt, more education, less imprisonment, more health care, less illness, more safety, less crime, better treatment by the police, and less police brutality than any other group. Some whisper that this is because whites have a better work ethic. But U.S. history tells us that the white democracy, born over four hundred years ago, lives on. In a global economy (and a global recession), corporate elites no longer want to pay white workers the privileges they have historically enjoyed. Instead, they want to pay everyone the same low wages and have them work under the same terrible conditions. Generally speaking, whites have responded to this attempt to treat them like regular workers in two ways. One is through “multiculturalism.” This approach, popular in universities and large corporations, seeks to recognize the equality of all cultural identities. This would be fine, except multiculturalism regards white as one culture among others. In this way, it hides how it functions as an unjust form of power. Multiculturalism therefore fails to attack the white democracy. It leaves it standing. The other response is color-blindness, or the belief that we should “get beyond” race. But this approach also perpetuates the white democracy, because by pretending that race doesn’t exist socially just because it doesn’t exist biologically, one ends up pretending that white advantage doesn’t exist either. Once again, this reproduces white democracy rather than abolishes it. There are right- and left-wing versions of color-blindness. On the Right, many whites sincerely insist they aren’t racist but nonetheless support every measure they can to perpetuate their white advantages, including slashing welfare, strengthening the prison system, undermining indigenous sovereignty, defending the “war on drugs,” and opposing “illegal immigration.” On the Left, many whites assert that race is a “divisive” issue and that we should instead focus on problems that “everyone” shares. This argument sounds inclusive, but it really maintains the white democracy because it lets whites decide which issues are everyone’s and which ones are “too narrow.” It is another way for whites to expect and insist on favored treatment. Multiculturalism and color-blindness (on the Right or Left) are no solution to white supremacy. The only real option is for whites to reject the white democracy and side with the rest of humanity. Fighting prisons, redlining, anti-immigrant laws, police brutality, attacks on welfare (which are usually thinly disguised attacks on African Americans), and any other form of racial discrimination are valuable ways to undermine the cross-class alliance. So are struggles to defend indigenous sovereignty, affirmative action, embattled ethnic studies programs in high schools and colleges, and the right for people of color to caucus in organizations or movements. All of these struggles—which people of color engage in daily, but whites only occasionally do, if at all—seek to undermine whites’ interest in and expectation of favored treatment. They point out the way toward a new society. We can see this in U.S. history, when fights to abolish the cross-class alliance have opened up radical possibilities for all people. Feminism in the 1840s and the movement for the eight-hour day in the 1860s came out of abolitionism. Radical Reconstruction (1868–76) very nearly built socialism in the South as it sought to give political and economic power to the freedmen and women. The civil rights struggle in the 1960s not only overthrew legal segregation, it also kicked off the women’s rights, free speech, student, queer, peace, Chicano, Puerto Rican, and American Indian movements. When the pillars of the white democracy tremble, everything is possible. An attack on white supremacy raises the level of struggle against oppression in general. has always expanded freedom for whites as well. Abolishing white interests is not “divisive,” “narrow,” or “reverse racism.” It’s the key to a free society.